There is tremendous ignorance, misunderstanding, misinformation, and outright disinformation about the concept of the Tzaddik, the righteous man in Judaism. This goes along with the confusion over the meaning of the Chasidic concept of a Rebbe. A Rebbe is a Tzaddik, but much more. In this blog I hope to correct these fallacies and dispel the confusion through consistent reference to published traditional Rabbinic sources, and also the more recent teachings of the Rebbes of Chabad. 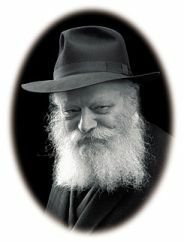 I mention Chabad because I believe that the Rebbes of Chabad have revealed even deeper levels of understanding of the meaning of the concepts of the Tzaddik and the Rebbe than can be found in any other sources, although there are many sources not specifically from the Rebbeim of Chabad that I hope to quote. In any case, a word of warning: some of the sources presented here may seem strange to those who are unfamiliar with them, but with the help of Hashem through explanation all will be clarified.